Our hearts are broken and we are in shock at the sudden passing of our beloved Olivia on Tuesday, March 5, 2019 at the young age of 17. Olivia was born at St. Martha's Regional Hospital on July 30, 2001 and grew up in Pomquet. Olivia was the light of our lives and we are changed forever. She was a strong young lady and even though she dealt with health issues, she never let it define who she was. She had a heart of gold and that was shown to those who knew her. She never took life for granted and knew how precious each day was. Olivia is survived by her parents, Lionel & Nellie Benoit, sister Emily (Clay) in Ottawa, brother Taylor in Halifax, Grandma Claire Benoit in New Hampshire, Auntie Effie Vincent, Uncle Alfred Benoit, Uncle Eugene Benoit, Uncle Leo (Dawn) Vincent; cousins, Daniel Benoit, Elise (Matt) McCallum, and Marcel; special little cousin, Ellington; step-cousins, DJ (Naomi) Corning, Darren (Sylvia) Corning, and David (Kristeena) Corning; and Godfather, Joe Mulligan (Donna). Olivia was predeceased by grandparents Peter Benoit and Joseph & Lydia Vincent, Tante Ann Marie Benoit, Godmother Vivian Mulligan. Olivia loved her family, friends, school and community. Her passion was horse-back riding with Daxter at Mary Lou's and cooking. She also enjoyed babysitting all her little buddies, student council, franco fit, altar serving, singing in the choir, serving lunches in the summer at Chez Deslauriers, NSSSA and We Day involvement, working at Ponderosa Play and Learn, Sobeys, and Bingo. Olivia supported and raised money for the Children's Wish Foundation. She was Assistant Coach of Pomquet Panthers Jr. Girls's Volleyball Team and a volunteer at the Pomquet Volunteer Fire Department BBQ Chicken Dinners. 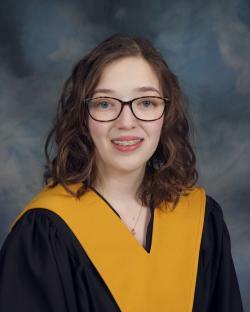 She was accepted into the Social Services program at NSCC to work towards becoming a child life specialist. Thank you to her doctors, Dr. Ortiz Alvarez Oliva, Dr. Andrew Warren, Dr. Dimas Mateos-Corral, Dr. Victoria Price, and Dr. Mary Gorman and to her osteopath Johan Overzet. To all the first responders, doctors and nurses who tried so hard to bring Olivia back to us on Tuesday evening, you will always be remembered. Visitation will be held at C. L. Curry Funeral Home, 135 College Street, Antigonish on Saturday 2-4 and 7-9 and Sunday 2-4 and 7-9. Funeral Mass will be held in Ste. Croix Church, Pomquet on Monday, March 11th at 2 pm with Father Andrew Gillies, Father Andrew Boyd, Father P.J. Baccardax, Father Gary MacPherson and Deacon Art Riley presiding. Donations may be made to St. Martha's Regional Foundation, Heart and Stroke Foundation and the IWK Heart Center. Online condolences: www.clcurry.com.